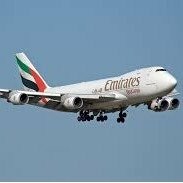 Emirates Airlines US offers “Love on board” Valentine’s Day with special fares, NYC- Milan two people together only $799. 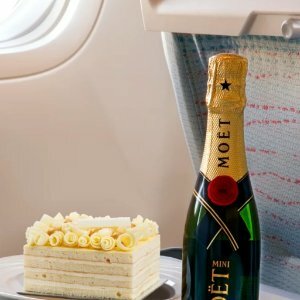 will serve a special selection of desserts on longer flights across its network. 7 days of an advanced Purchase request. Featured: This Valentine’s Day, give your loved one the world with fares from $799 for two traveling together. Choose from a selection of destinations. 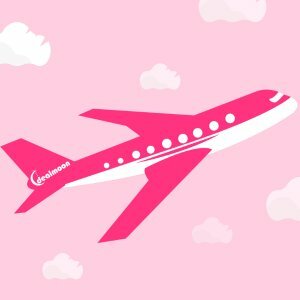 Their Valentine’s Day fares are available in Economy, Business and First Class. Also, Onboard meals will be seasoned with a touch of romance to complement the regionally inspired cuisine. Now, It's time to bring her/him on the board with a romantic experience. Emirates Airlines US offers New York to Milan Italy RT Airfare from $425 rt . Emirates Airlines US offers Emirates flights discounts from $449+ roundtrip to 89 cities . Terms and conditions apply. Visit Emirates.com for specific Terms and Conditions. Emirates Airlines US offers Emirates flights discounts from $549+ roundtrip to 89 cities . Emirates Airlines US offers Emirates Airlines Companion Sale - NYC to Milan from $799 for two . Emirates Big Takeoff - roundtrip fares for two from $999 from New York to Milan, India, Africa, Middle East & the Far East. Emirates Airlines US offers Roundtrip ticket to Dubai, $1299 For 2 people. Stays between 4 days--6 months. Including all applicable government taxes and fees. Emirates Airlines US offers the roundtrip to Milan Italy for as low as $430 from New York, as low as $713 from San Francisco, as low as $733 from Los Angeles, roundtrip per person including taxes (must book 2 tickets) via coupon code USRMN13. Book before 11 Mar 14, choose and travel between 20 Feb 14 - 16 May 14.